B Rekencentra develops cargo and freight software for the transport & logistics industry. Implementing their software into the customer workflow, is a heavy task. Therefore, they have the need to have a cloud-based solution which they can propose to smaller clients or for demonstration and testing purposes. Awingu fits the bill perfectly. InfoDidac builds cloud offer with Awingu and Microsoft Azure: InfoDidac is the developer of ‘ProEco’. This is the core administration software, used in 1300 schools in the Belgian French Community. ‘ProEco’ is a legacy software that runs locally on the PC of the end-user. It was not built to run as a SaaS service. In the 21st century, schools and their staff need to work more even more efficiently and flexibly. Multi-tenant: thanks to the multi-tenancy of the Awingu, management of schools and users became a lot easier. 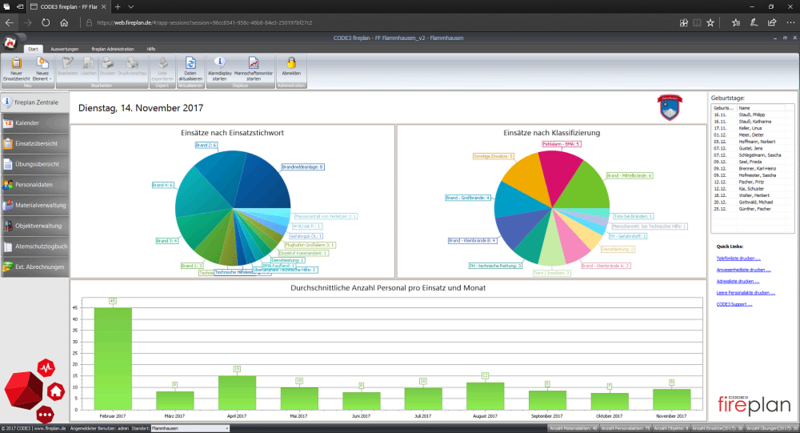 CODE3 is a German independent software vendor (ISV) that was founded in 2012. 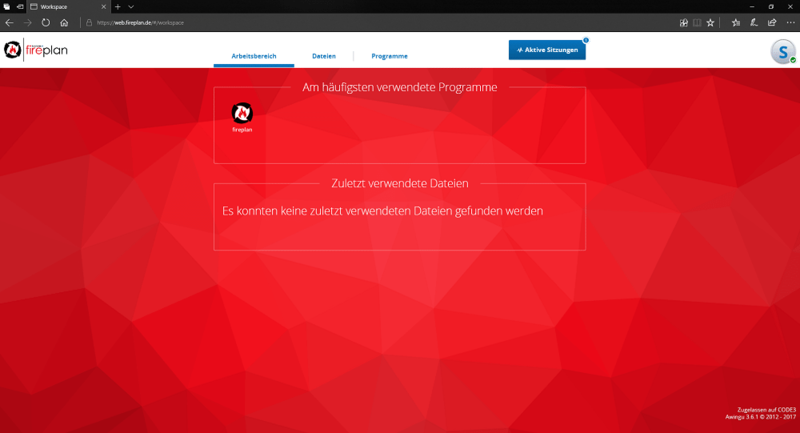 As a business, they develop and sell their “fireplan” software to fire departments all over Germany and other German speaking regions. CODE3 used to leverage on Azure RemoteApp to provide mobile access to their end-customers. However, as of August 2016, Microsoft announced the discontinuation of the Azure RemoteApp service, meaning CODE3 needed to find a suitable alternative. By replacing Azure RemoteApp with Awingu, CODE3 ensured easy, fast and safe access to their software on every platform. Be it either in municipalities with limited internet access or in fire stations that deployed operating systems different from Windows, the Awingu platform helped enable a connection to fireplan that works even smoother than if it were installed on premise. CODE3 tested Awingu All-in-One on the Azure Marketplace. 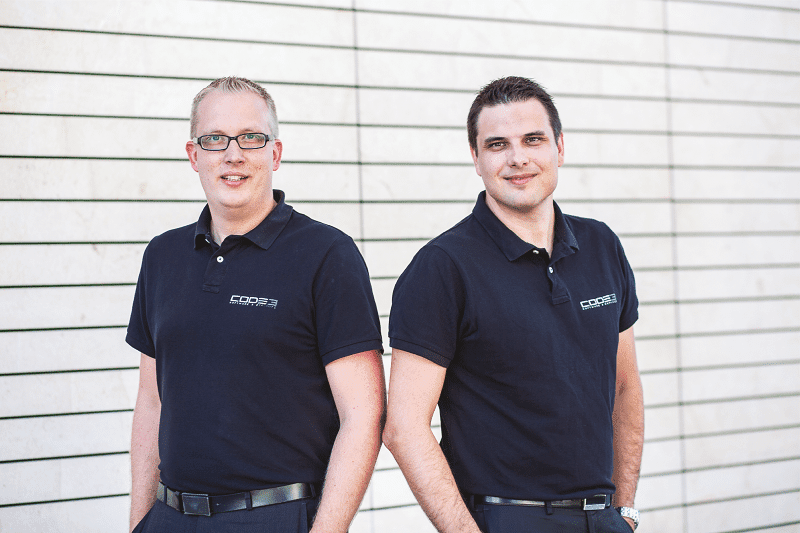 “Our trial on the Azure Marketplace worked remarkably good from the start, and that really convinced us”, says Bojan Slegel (one of the co-founders of Code3). No third party: CODE3 runs and operates the software under their name, and in the infrastructure of their choice: Microsoft Azure. Easy to manage: CODE3 only needed to build on top of their existing platform. Speed: CODE3 had customers who couldn’t run fireplan because of connection issues. With Awingu’s bandwidth optimization, those issues were largely solved. With Awingu, we have found a very good solution to make our software available now that Azure RemoteApp has been dropped. Clients of ours that have bad internet connections or network restrictions and were using using the Azure RemoteApp experience a significant difference in speed when switching to Awingu: finally, they’re able to use the software in the same way as clients with good internet connections and no network restrictions. Our trial on the Azure Marketplace worked remarkably good from the start, and that really convinced us. Any questions we had in the earlier stages were very quickly, thoroughly and professionally answered by the Awingu Support Team. We were surprised by how engaged they were for a company that wasn’t even a customer yet! Peloton Computer Enterprises Ltd. is a Canadian ISV (Independent Software Vendor) that develops drilling and well data software for oil and gas companies worldwide. They are a leading technology player in this market. 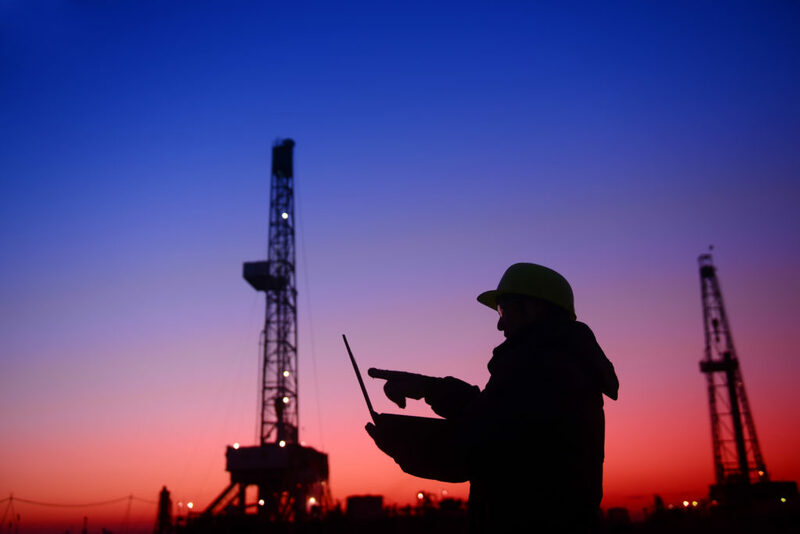 More than 450 oil and gas companies around the globe rely on Peloton’s software to make better informed, data-driven decisions, and the industry is slowly but surely shifting towards the cloud. Therefore, Peloton choose Awingu to make their industry-specific software available on any device, anywhere. Great user-experience: users get access to their Peloton applications without compromise. Simplicity of the architecture: Awingu is an easy solution to set up and is a good long-term source for Peloton’s SaaS strategy. Browser-based: no need to install software on client machines, and thus clients can run Peloton’s software on any type of device. Support for local printing: users can print reports directly to a local printer without any software to install. Dramatically simplified support and operation efforts: previously, “Peloton’s client rollouts would take weeks to months. With Awingu and Microsoft Azure, it takes Peloton minutes to deploy a new customer.” This kind of operational efficiency has proved to be vital for Peloton. Quicker route to value: for Peloton to get customers up and running quickly means fewer support costs, quicker route to value, optimization of the cashflow and happier customers. Improved sales operation: Awingu requires zero configuration and zero client software installation. It is now really simple for Peloton to set up “try-and-buy” models for new prospects. Increased ARPU (Average Revenue Per User): Peloton’s move to a SaaS revenue model has triggered a significant increase in ARPU (Average Revenue Per User) as it now offers not only software licenses, but a fully managed service. We have received stellar feedback since implementing Awingu — it has been instrumental in improving sales and operations. User experience was our first priority. Our user base wanted an intuitive, browser-based access to their Peloton software. We also heavily considered the Total Cost of Ownership, installation and ease of implementation. Awingu fits our needs perfectly. Fargo Systems is an innovator in the provision and support of core business software and services to the logistics industry. With a wealth of far-reaching industry knowledge, its roots and history go back a great deal further than the company’s inception in 2002 with solid foundations within the shipping and transport industries. A leading provider of TMS (Transport Management System) solutions, Fargo Systems offers four software packages: TOPS, Cyman, TOPS…on the go, and Container-Central.com. Next to building and selling software, it also supports customers with additional services and consulting. By understanding their customers’ operations, Fargo Systems works closely with them to deliver and build upon improved management, processes, and efficiencies with innovative IT solutions. Historically, Fargo Systems has deployed its software either on-premise or through the cloud, hosted by Azure, leveraging Azure RemoteApp. When Microsoft announced the end of life for the Azure RemoteApp service in August 2017, Fargo Systems needed an alternative solution to continue catering to the needs of their customers. For the new Azure-based solution, Fargo Systems turned to the Microsoft Azure Marketplace and identified Awingu as a solid alternative to Azure RemoteApp. Awingu software is a workspace aggregator that provides a central workspace for people to access all their data using whatever device they prefer from anywhere. Awingu significantly shortens and smoothens the creation of a complete workspace environment in the Azure Cloud. Using a simple installation wizard, IT administrators can set up and configure Awingu and back-end applications servers in a matter of minutes and allows access to SaaS applications with a single login. The key value point for Fargo Systems was that Awingu would enable them to offer their software through a connected browser and sell it via a service model. The environment in Azure was set up in under a day, giving Fargo a real-life environment to test internally and with end-customers before deciding to go into production. The concurrent based pricing model of Awingu provided a cost-efficient means for Fargo Systems to tailor their end-customer offering. Faster Time to Market: by simplifying the creation of a complete workspace environment in the Azure Cloud, Fargo Systems was able to deliver their TMS solutions to their customers in a matter of days while achieving a great TCO. Ease and Simplicity: Fargo Systems’ users can access and use any application or file they need using just their browser. There is nothing to install or configure for the end user — all they need is an Internet connection and an HTML browser. Cost-efficiency: Awingu’s concurrent based pricing model provided a cost-efficient means for Fargo Systems to tailor their end-customer offering. Thanks to the ease-of-use of the Azure Marketplace, Fargo Systems was able to deploy and test Awingu on Azure in their specific context and use-case. And this was in a matter of hours.